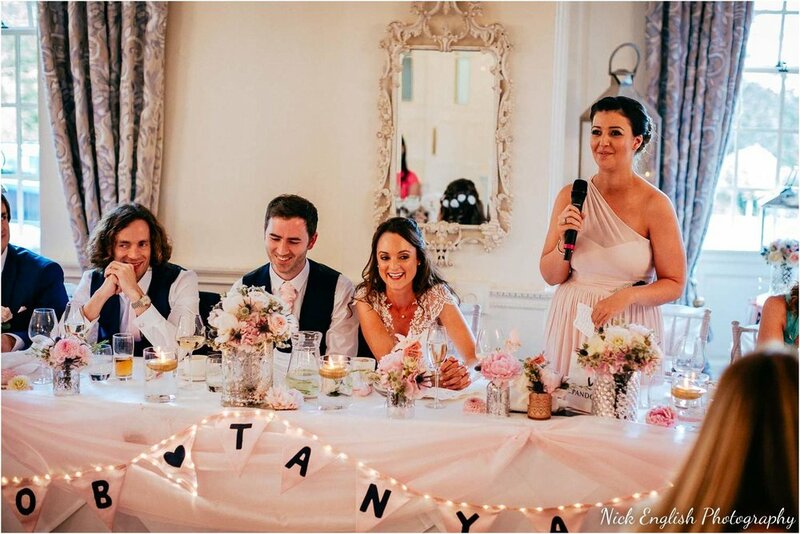 When Tanya first told me that she was considering having her wedding outdoors, I don’t know who was more excited, me or her! 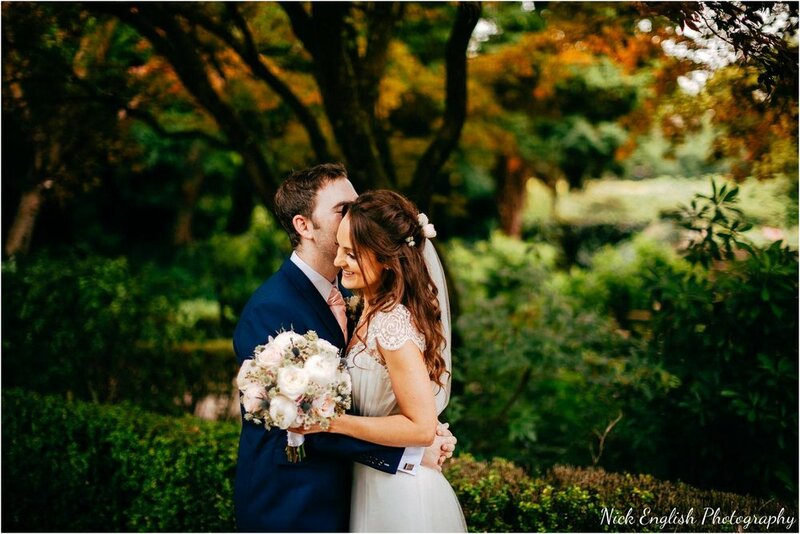 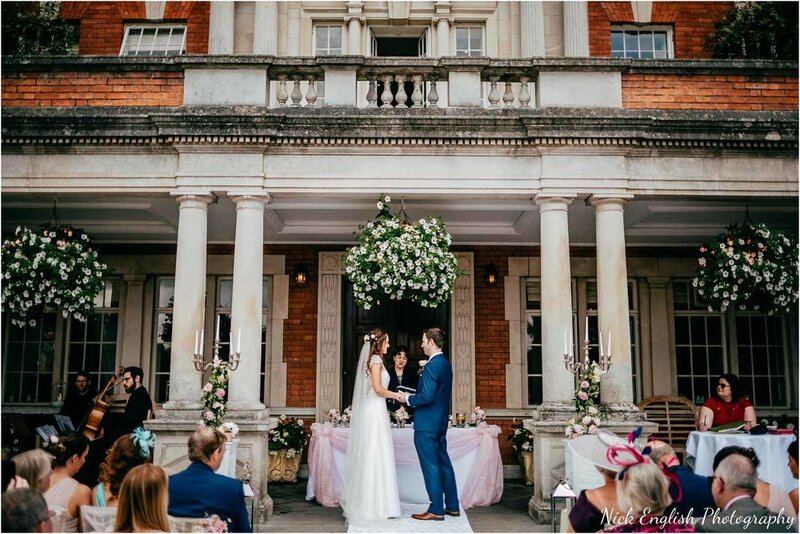 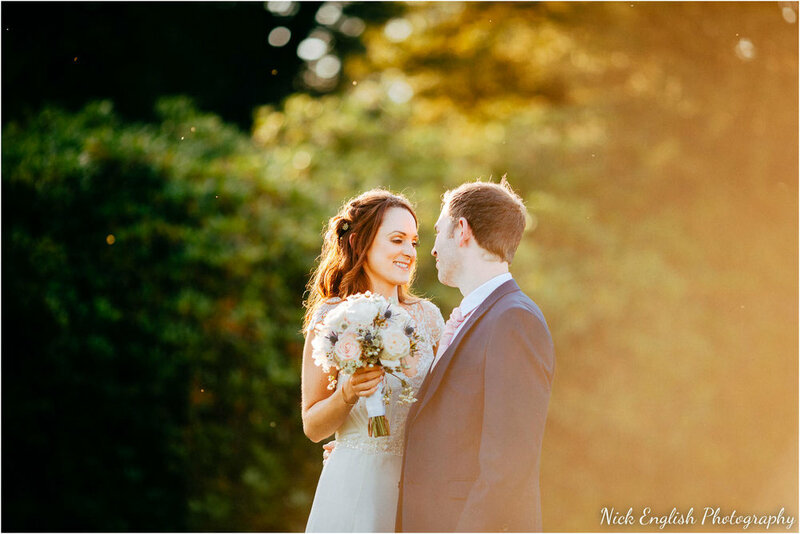 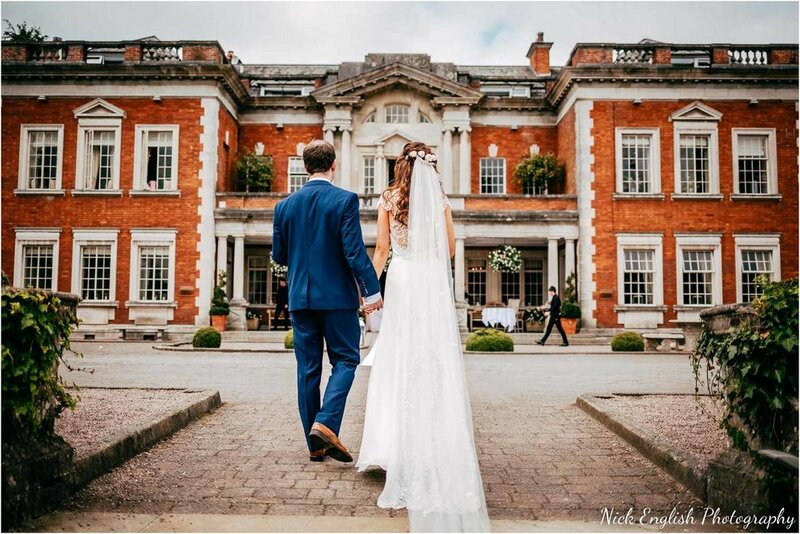 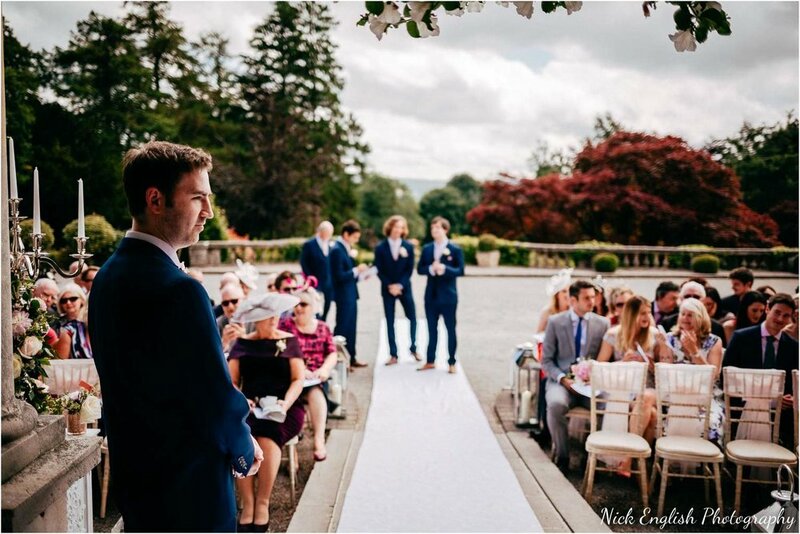 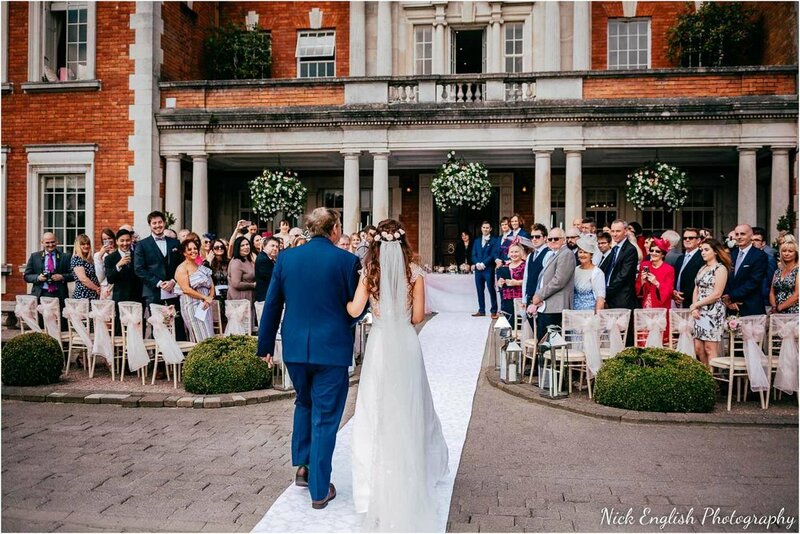 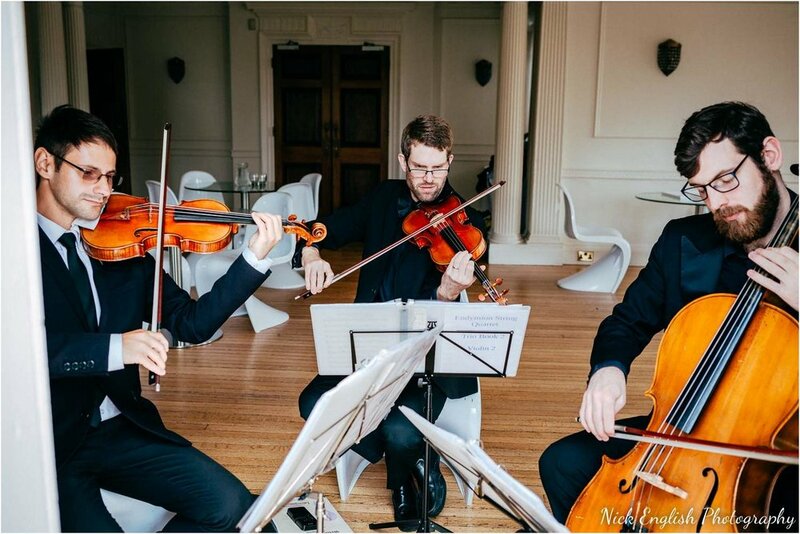 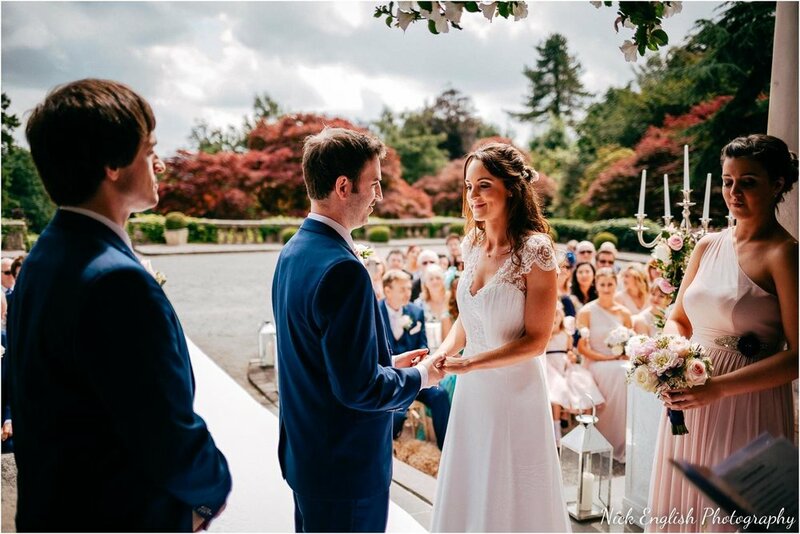 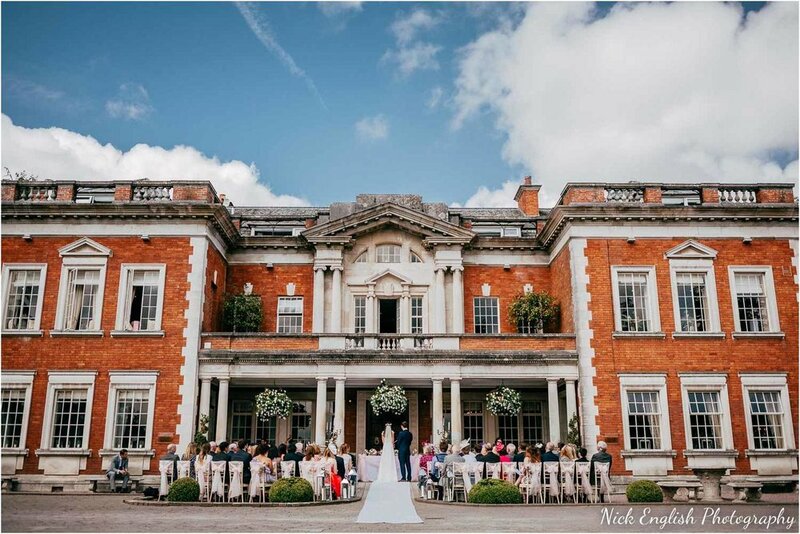 The weather was perfect for an outdoor wedding ceremony at Eaves Hall, and 45 minutes before the service, she gave the nod to Ben, the wedding co-ordinator, and the staff began putting chairs outside for an outdoor service! 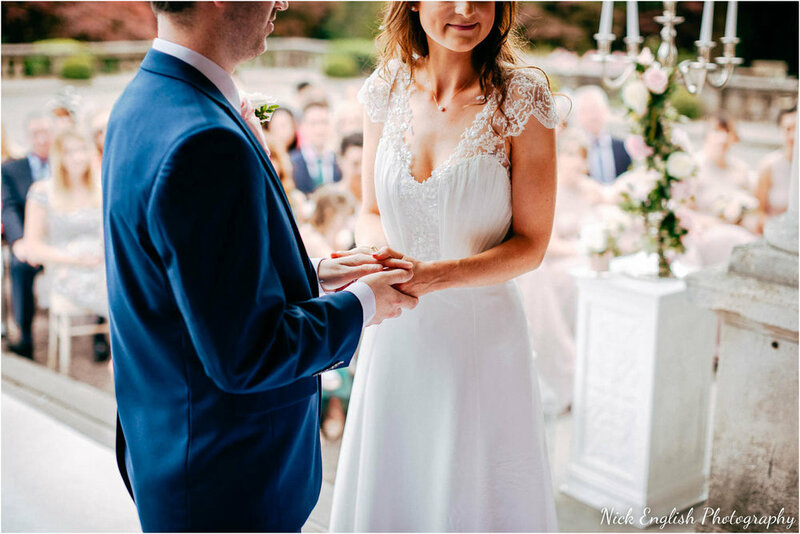 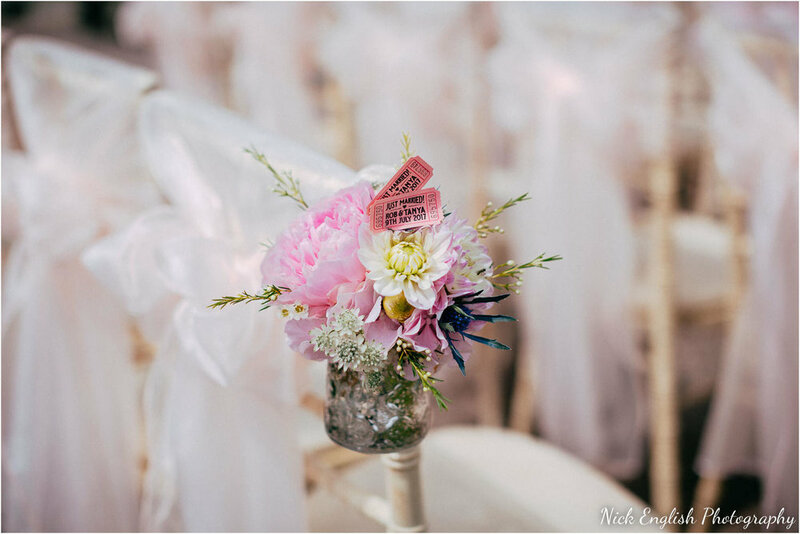 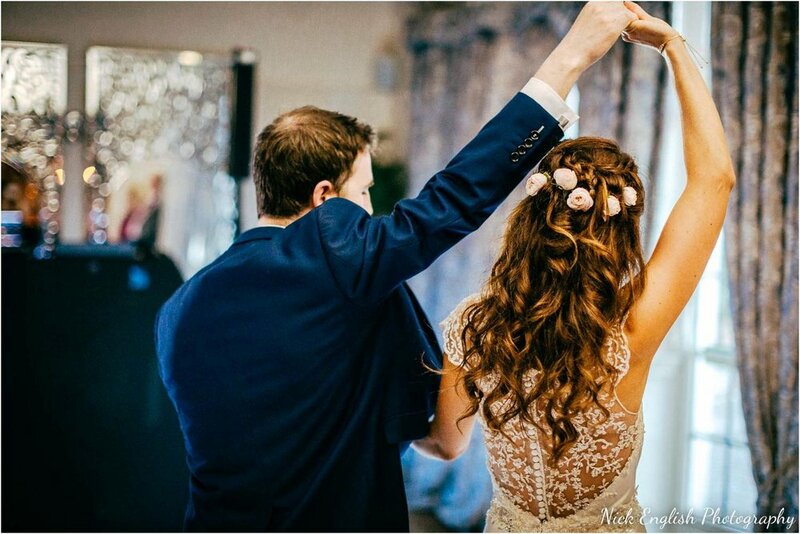 Hand-Made Wedding Dress – Stunning Bride! 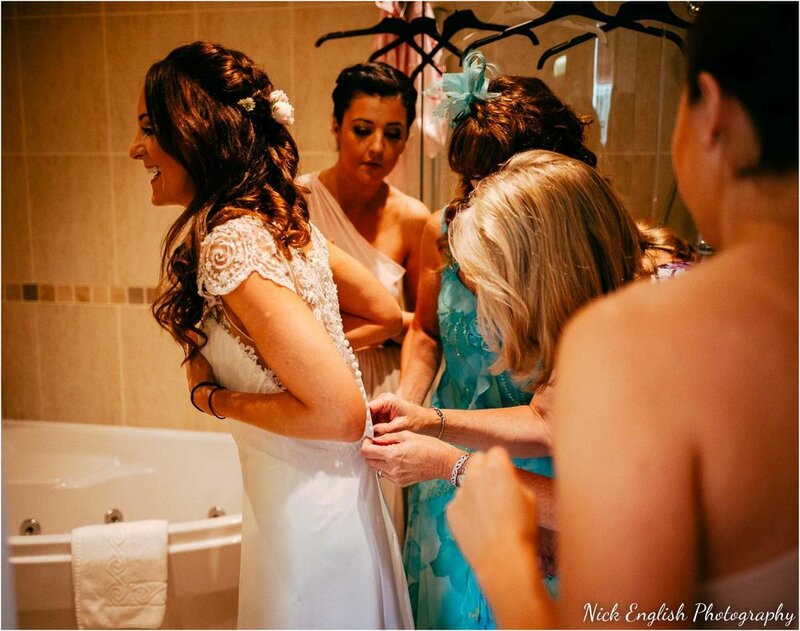 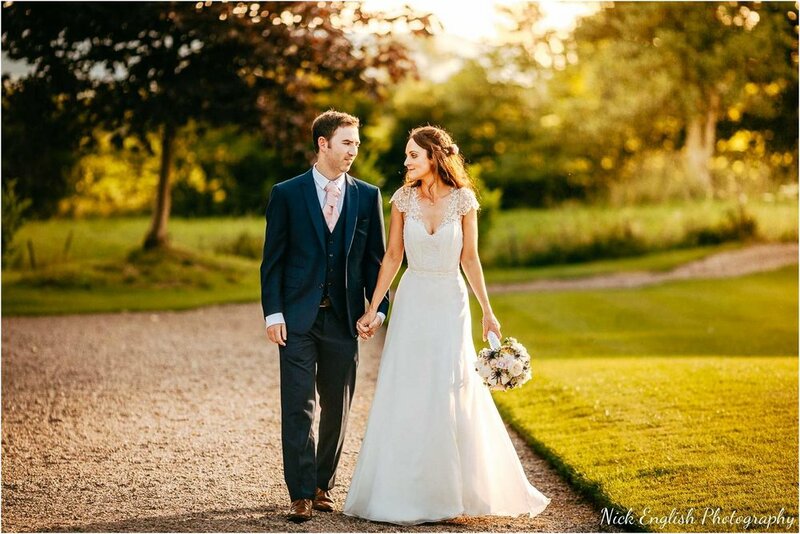 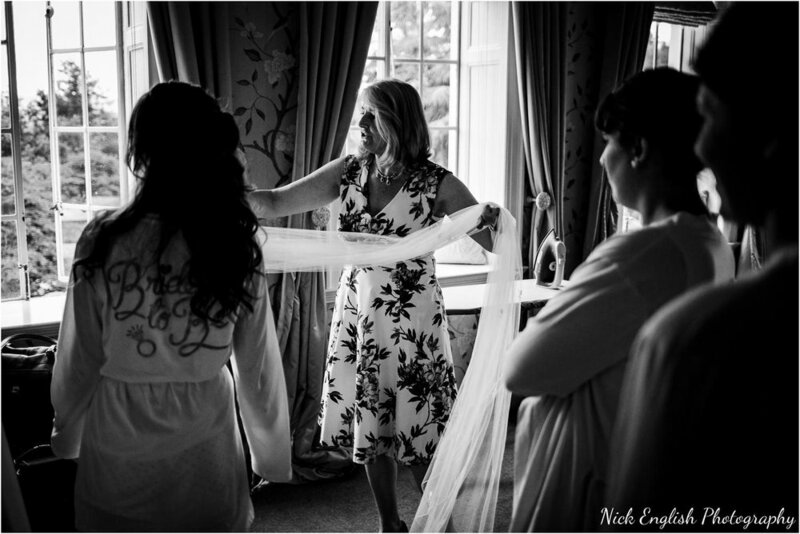 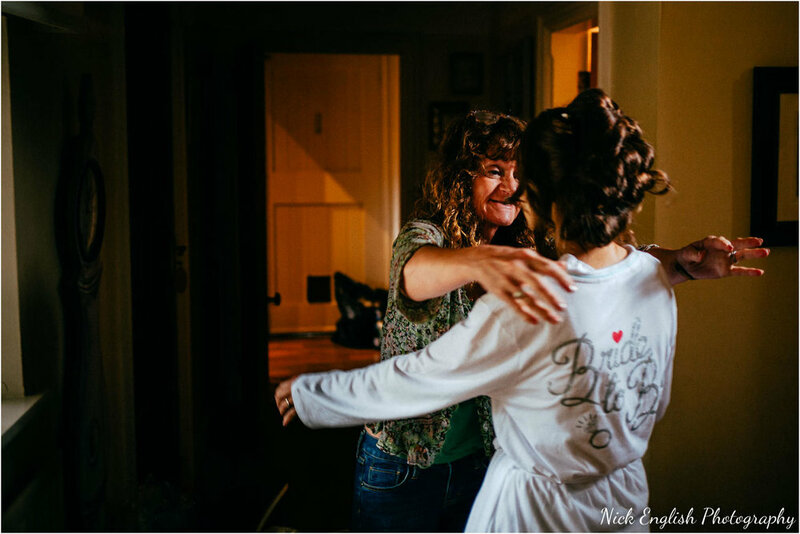 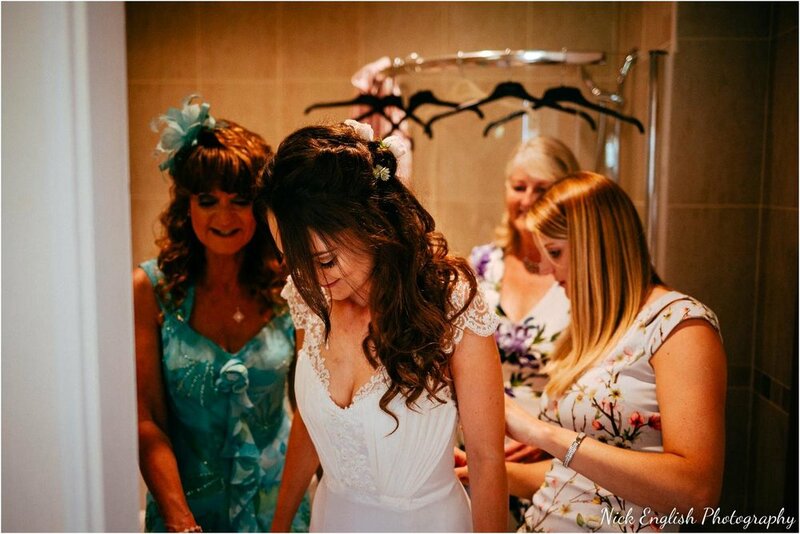 Tanya looked absolutely stunning in her wedding dress that her auntie had designed and hand-made herself! 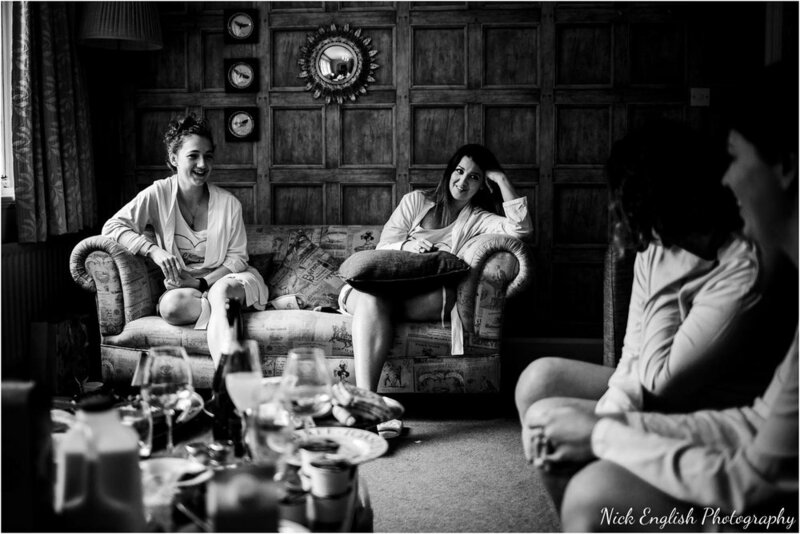 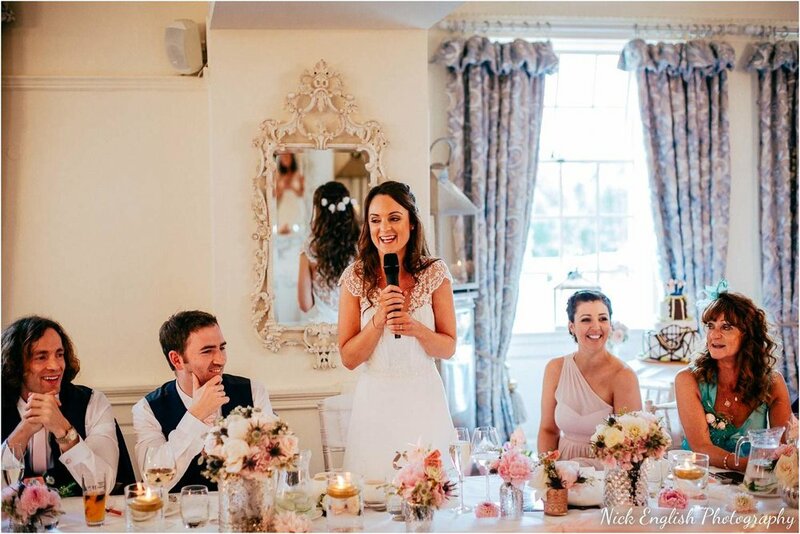 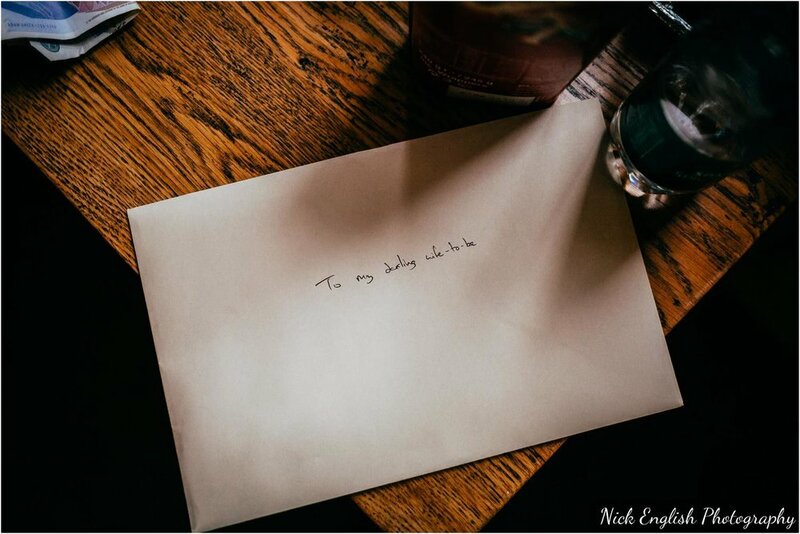 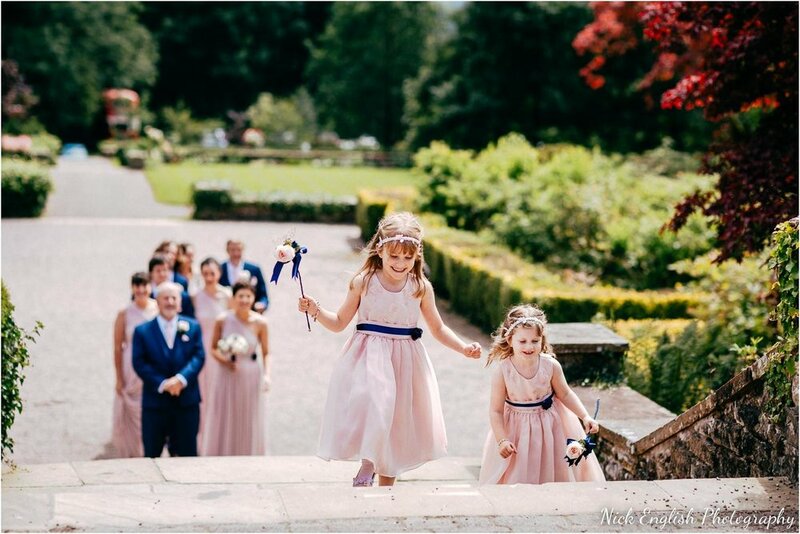 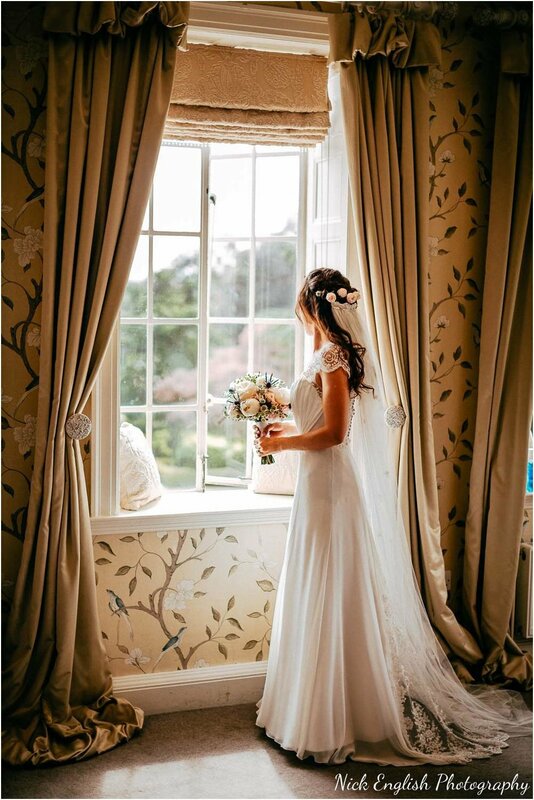 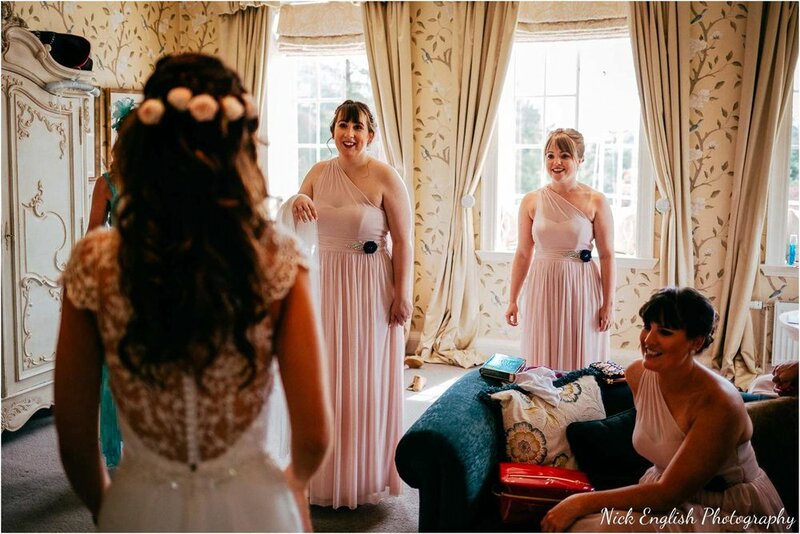 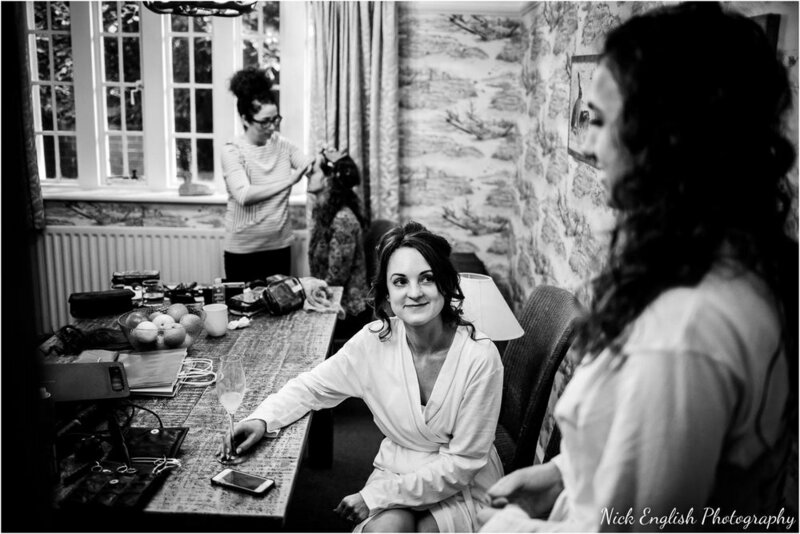 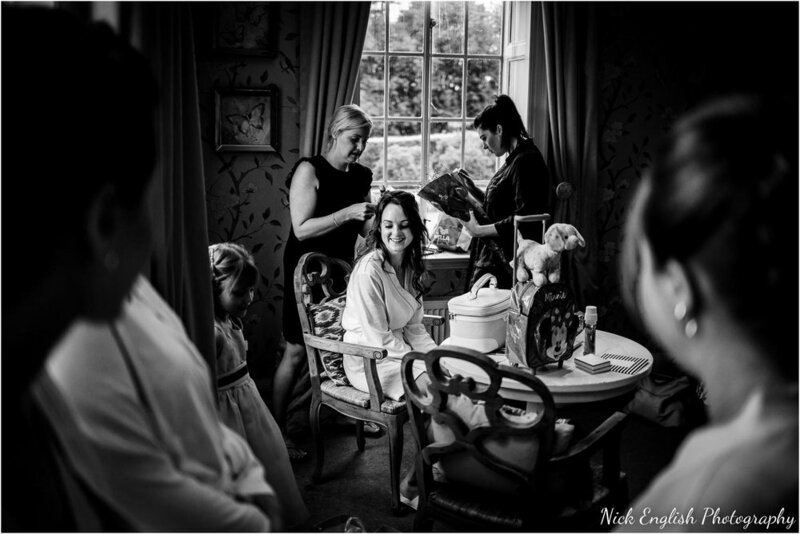 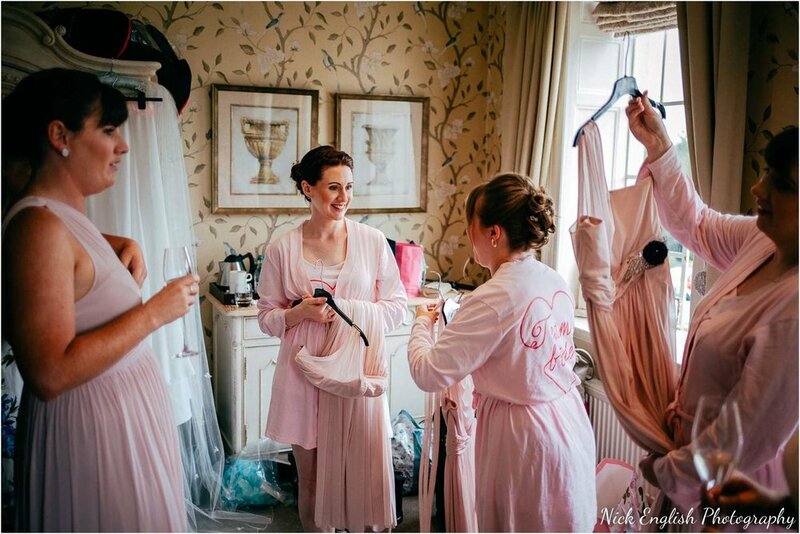 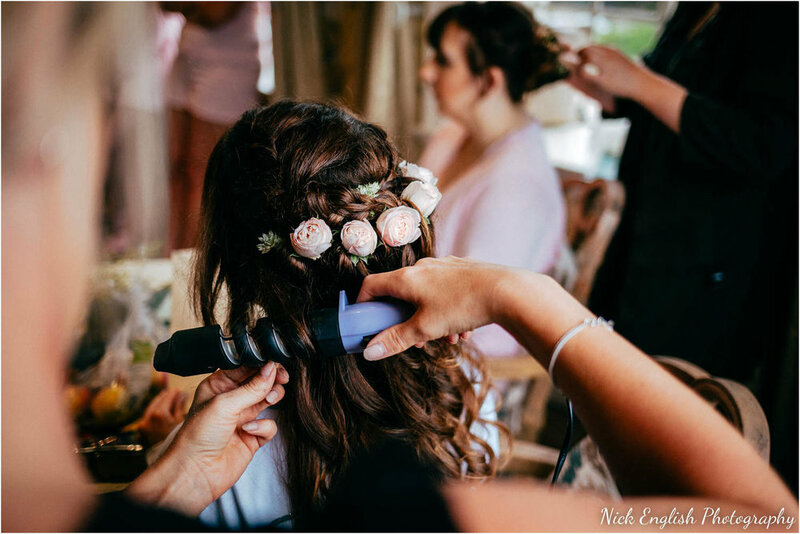 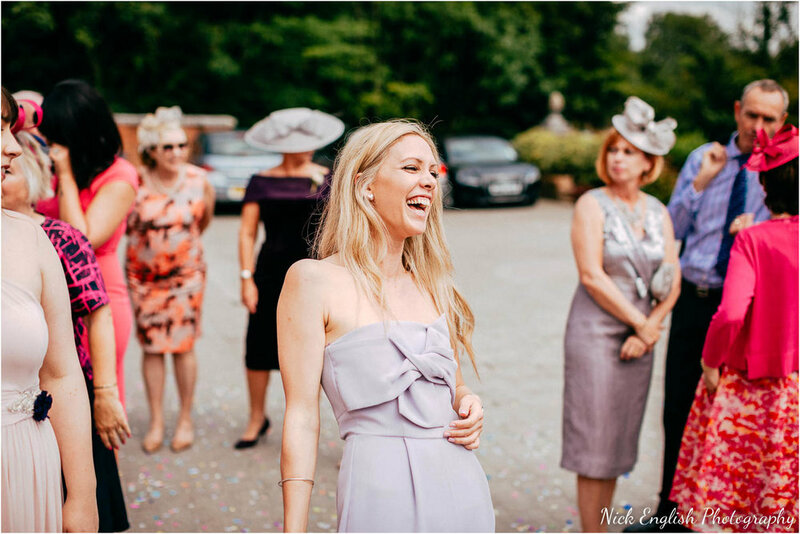 She got ready with her bridesmaids at the Eaves Hall Lodge and Bridal Suite – meanwhile the guests were arriving and enjoying a pre-wedding drink outside in the sunshine! 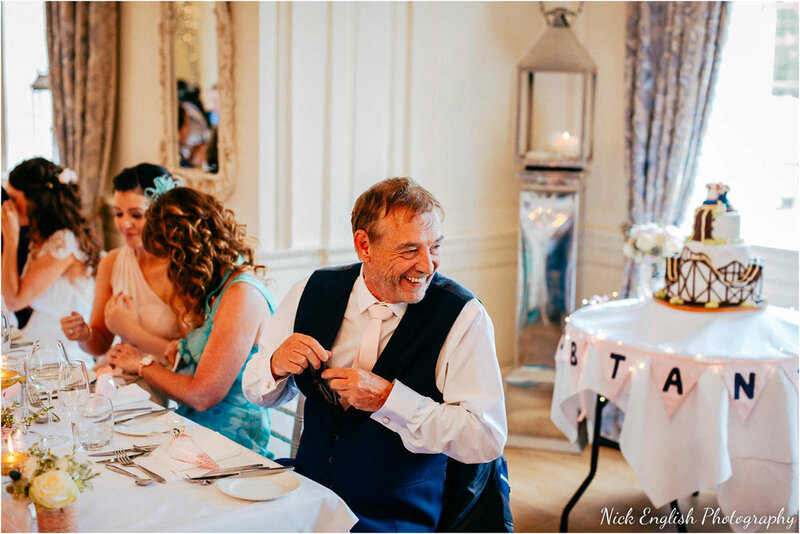 Tanya’s Mum’s cockapoo puppy even came along for the day, he was absolutely lovely dressed in a bow-tie! 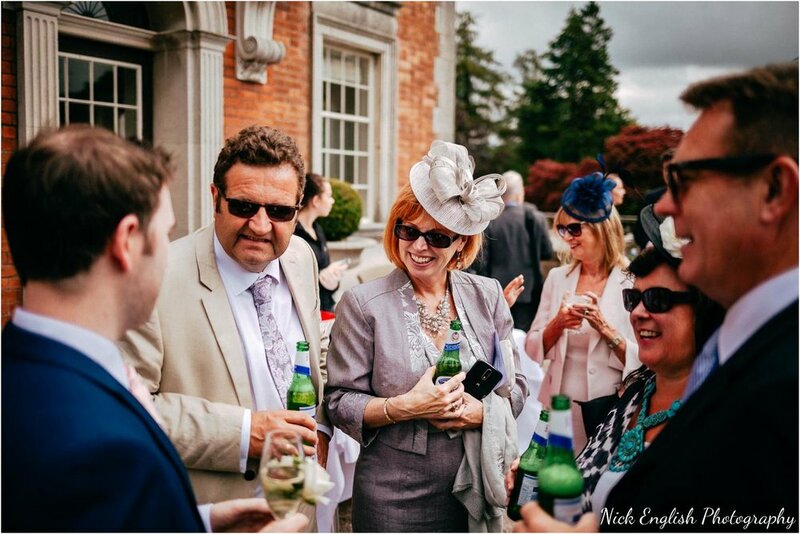 Owning a cockapoo myself, it was great to see him come along and enjoy the day as much as everyone else! 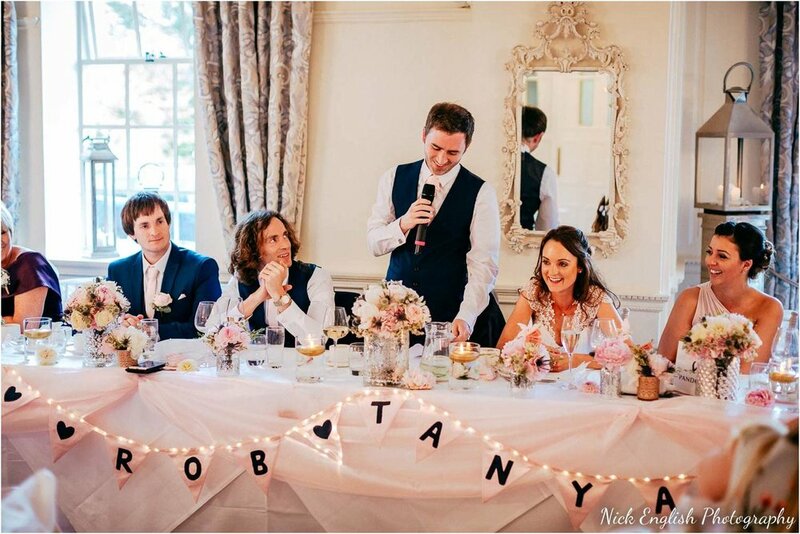 He certainly had a few canapes and nibbles! 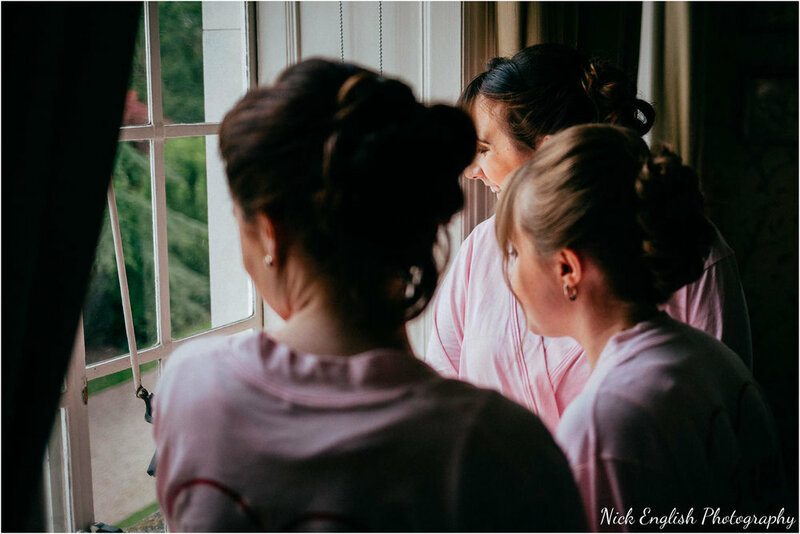 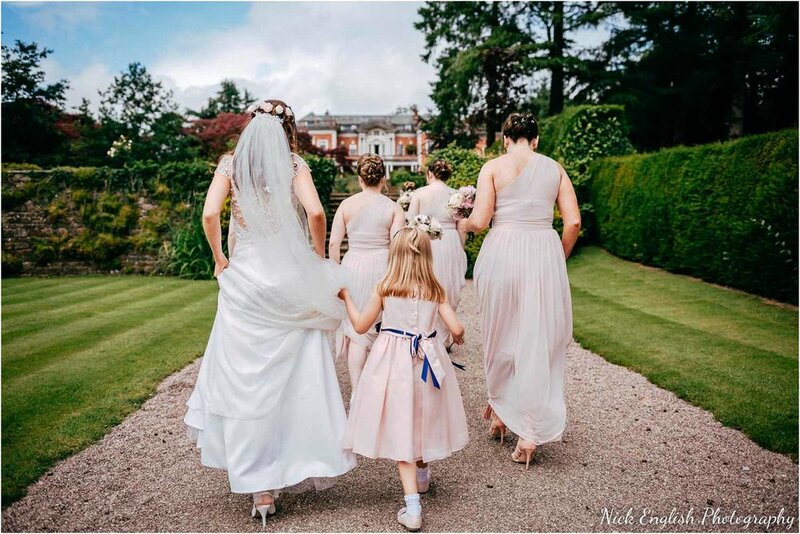 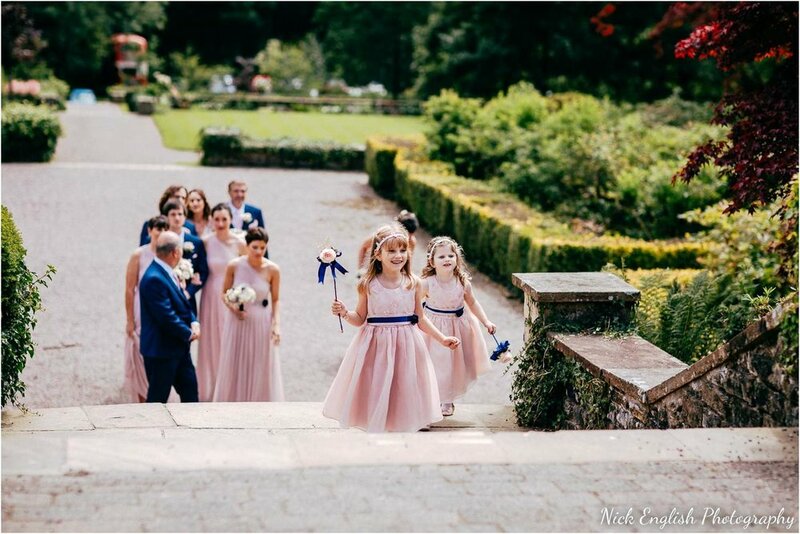 Tanya and her bridesmaids set off from the Eaves Hall Lodge, while Rob and his ushers awaited outside Eaves Hall – it was a fantastic service with the guests sitting outside the beautiful Eaves Hall. 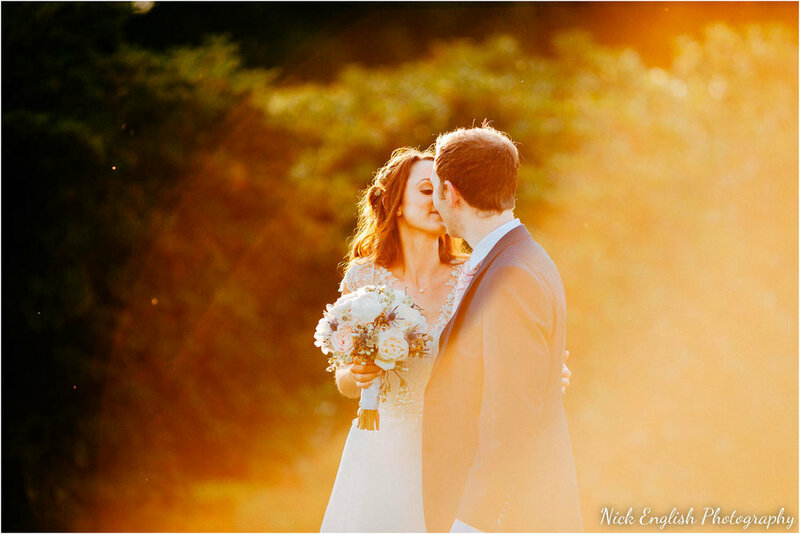 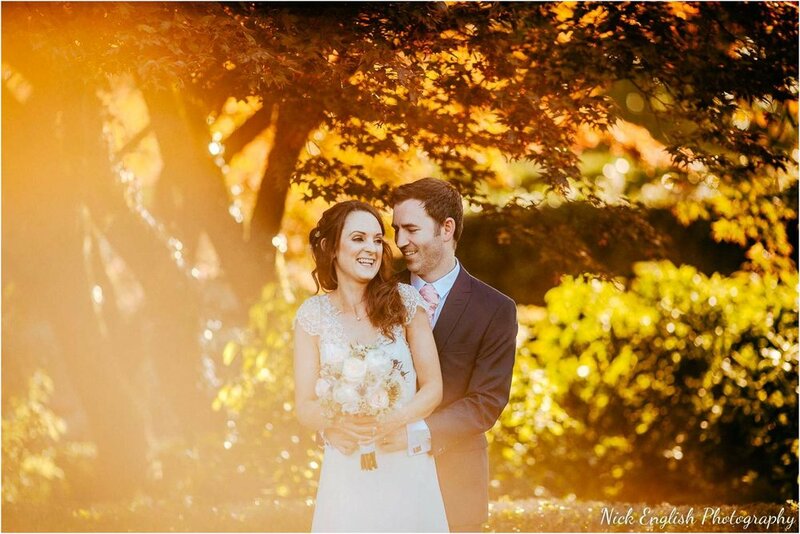 It was a photographer’s dream to be able to photograph an outdoor wedding at Eaves Hall! 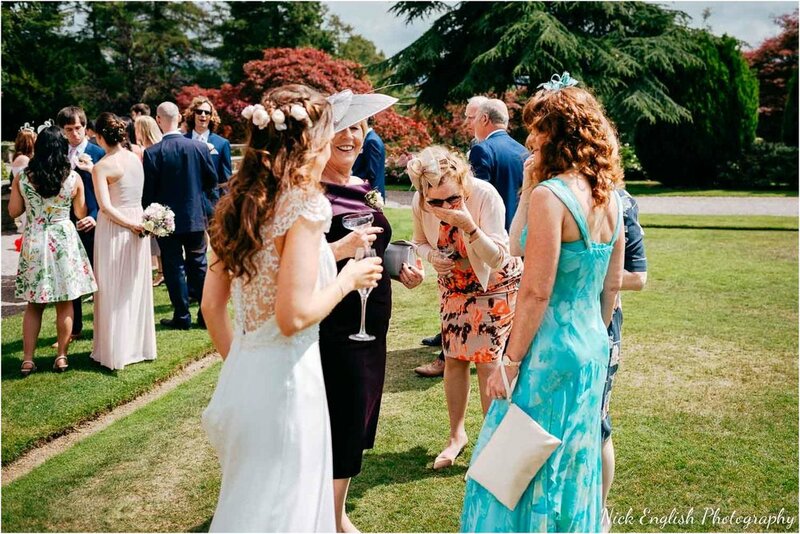 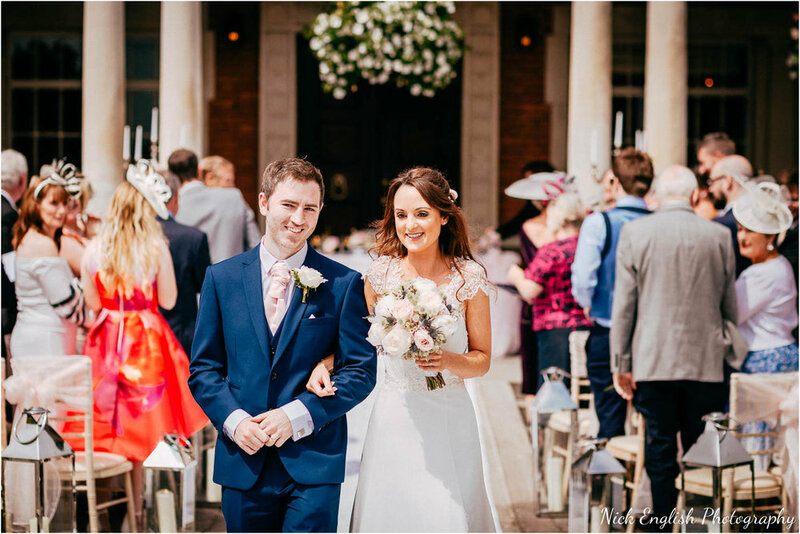 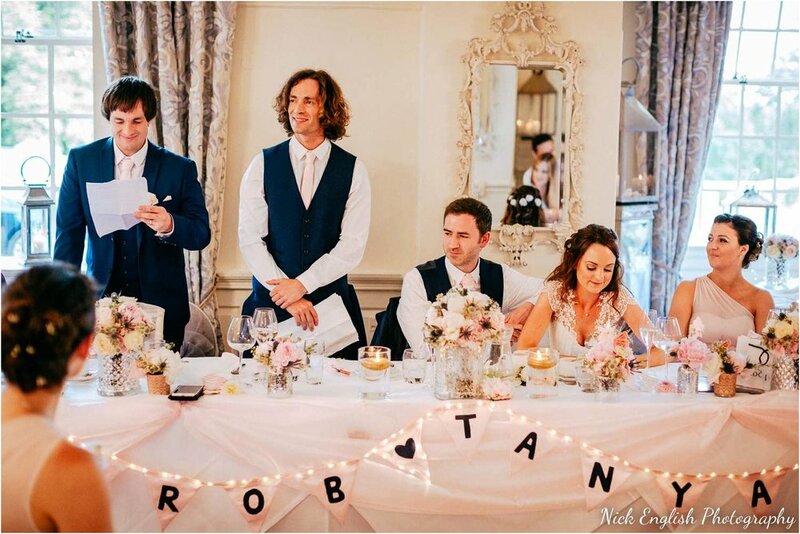 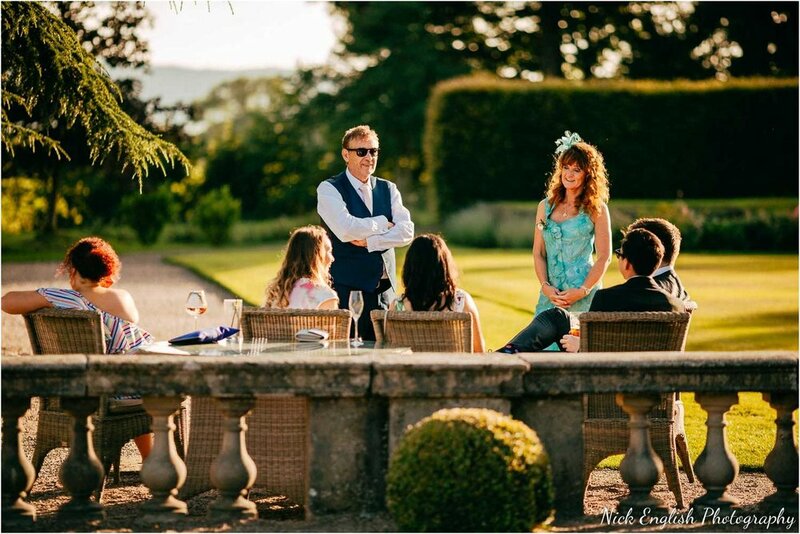 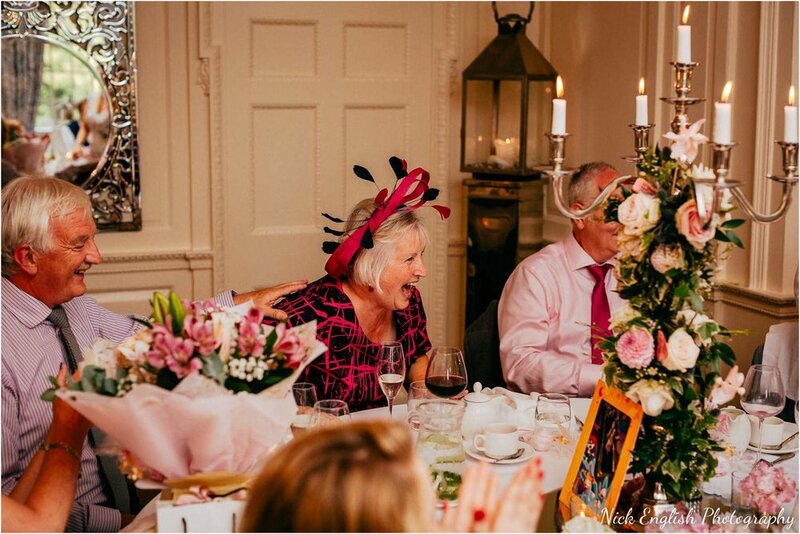 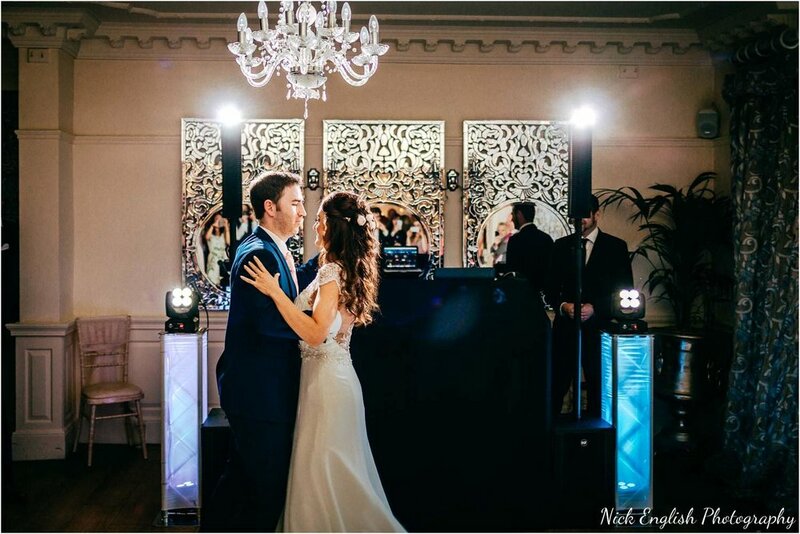 After the wedding, guests enjoyed drinks and canapes on the courtyard and grounds, before heading into the stunningly decorated ballroom for the wedding breakfast and speeches. 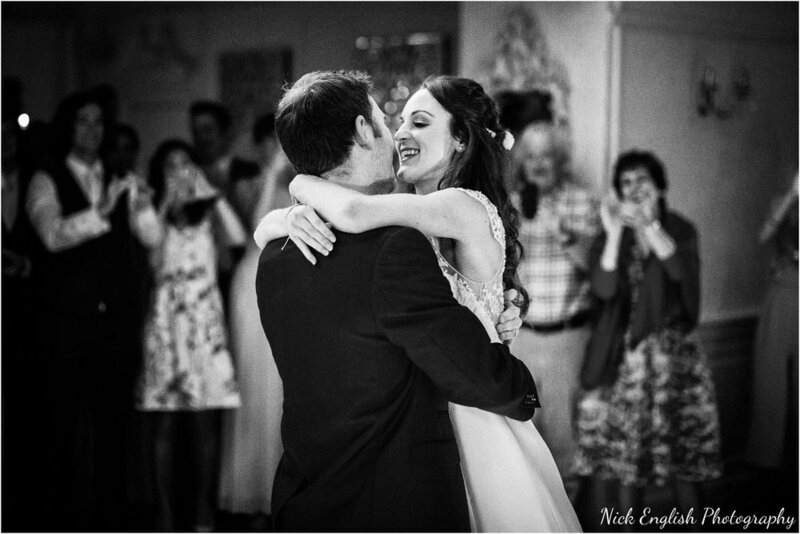 It was a perfect wedding and I was privileged to be their Eaves Hall wedding photographer! 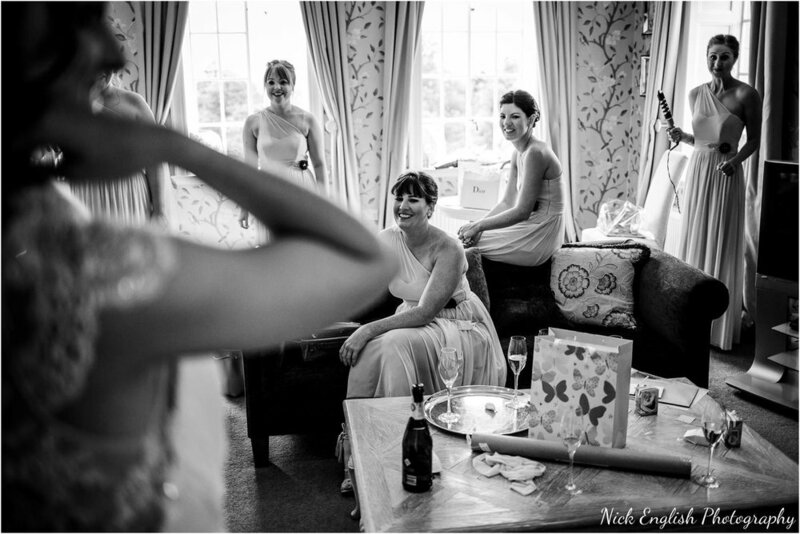 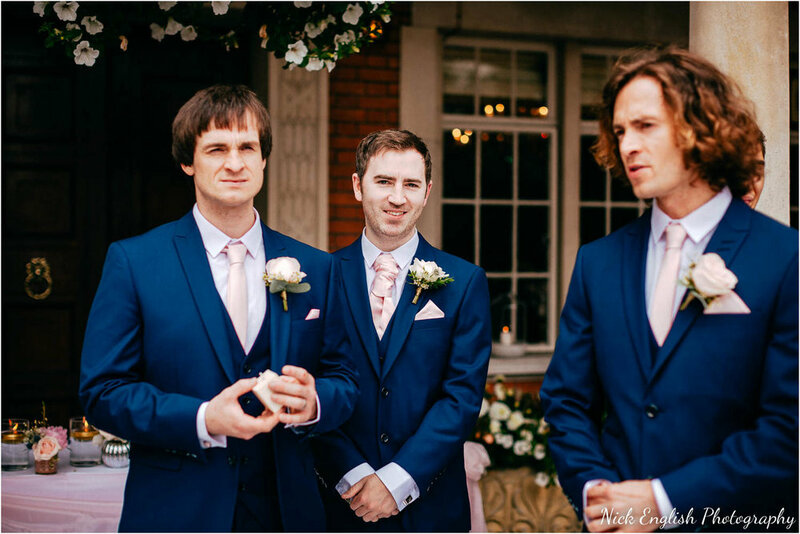 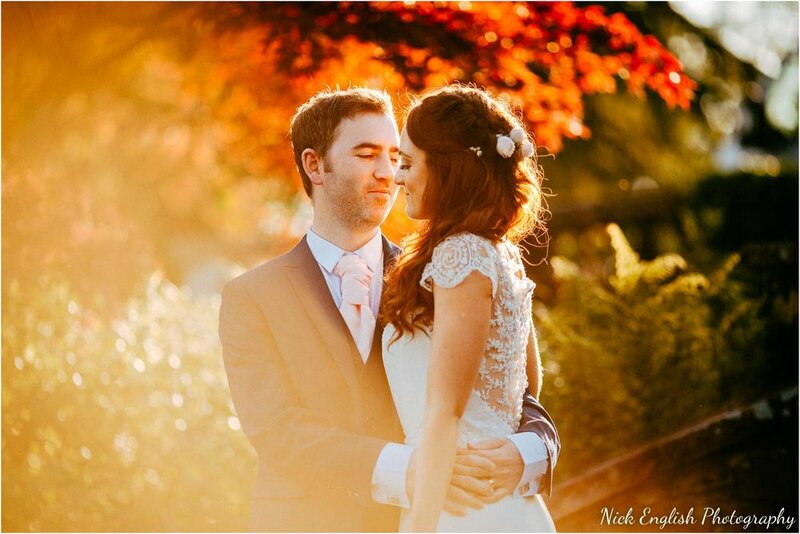 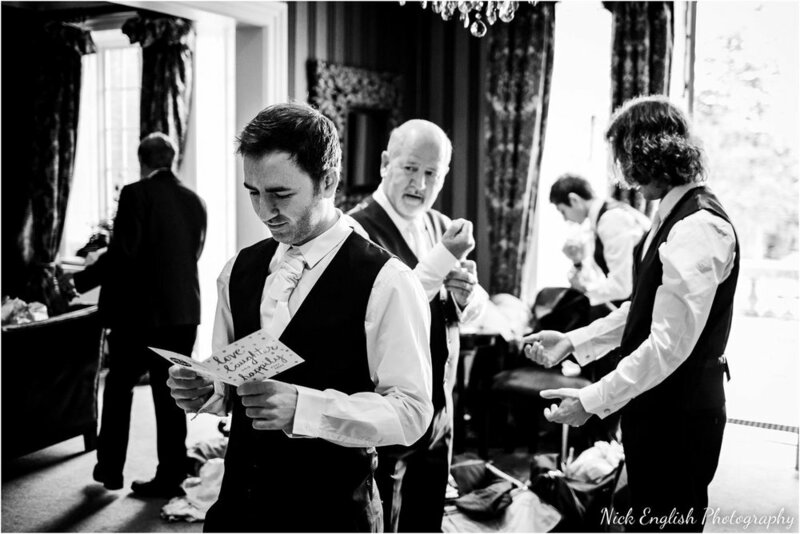 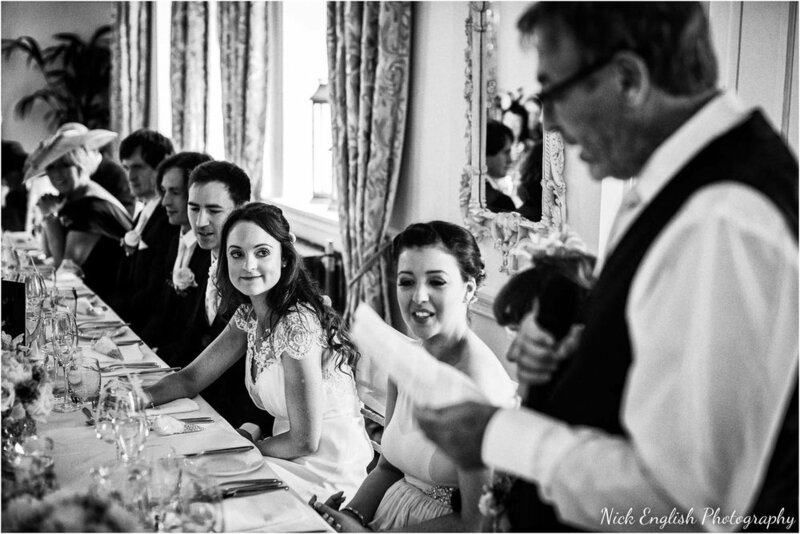 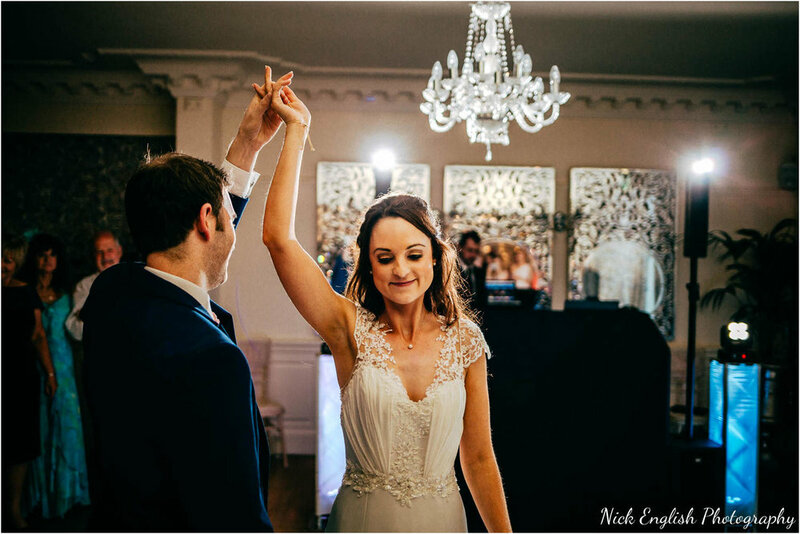 Here are a small selection of photographs from Tanya and Rob’s fantastic Eaves Hall wedding!